MANILA, Philippines – President Benigno S. Aquino III Friday ordered a comprehensive audit of the P12-billion funds given to the Autonomous Region in Muslim Mindanao (ARMM) last year amid concerns of alleged irregularities in fund disbursements. The President said he wants to know where the public funds were spent in ARMM after seeing the devastation left by flashfloods and landslides in Jolo, Sulu. Aquino was in flood-hit Jolo Friday to distribute relief goods to flood victims and later assured soldiers of better government support in the area. It was his first visit in Sulu since he took office last year. “I have ordered an audit into the ARMM funds. When I was in the legislature, there were some P12 billion given to ARMM. I just want to know where the P12 billion went,” he told reporters during his visit in Jolo. He noted there were some questions if the ARMM funds went to the rightful beneficiaries amid the poverty as well as rising population in the region. 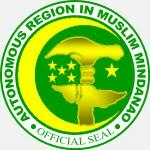 If the country has annual population growth of two percent, the President pointed out that ARMM has a population rate of six percent. “One is tempted to ask what is happening to ARMM that its people procreate more than other Filipinos,” he said in Filipino. Meantime, the President said the government is ready to release additional funds to help the flood victims recover from the devastation in Jolo. The flood-hit town of Jolo was placed under state of calamity following the onslaught of heavy rains and floods in recent days. More than a thousand families were left homeless while other villages remain under flood water. So far, Aquino said the Department of Social Welfare and Development (DSWD) has extended P2 million worth of relief and rehabilitation assistance to the victims.